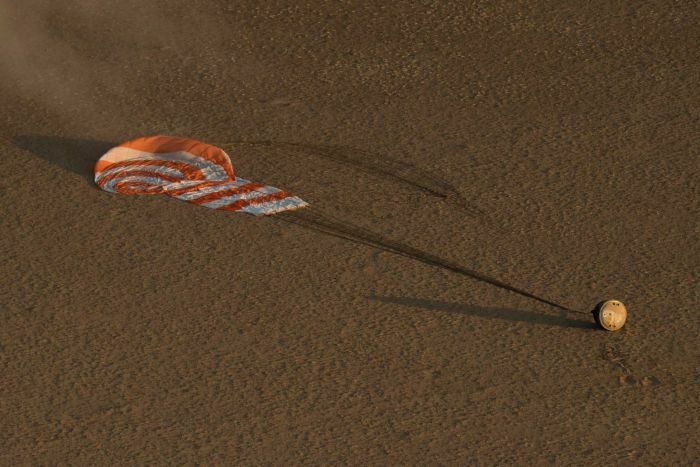 Astronaut Peggy Whitson has returned to Earth, wrapping up a record-breaking flight that catapulted her to first place for US space endurance. Dr Whitson's 665 days off the planet — 288 days on this mission alone — exceeds that of any other American and any other woman worldwide. 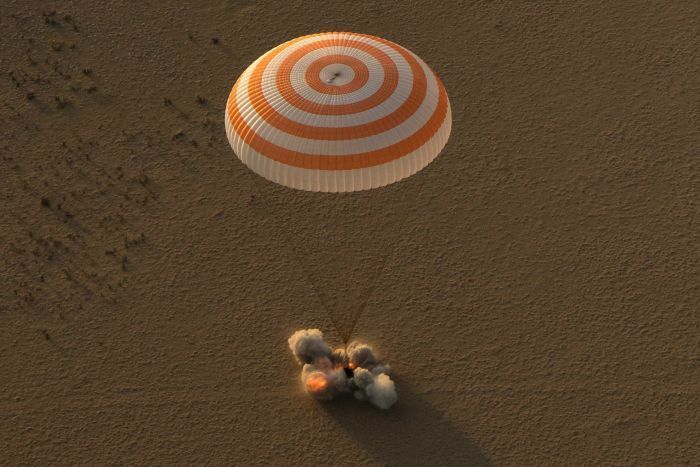 After checking out of the International Space Station along with another American and a Russian, the trio's Soyuz capsule landed in Kazakhstan shortly after sunrise on Sunday local time. 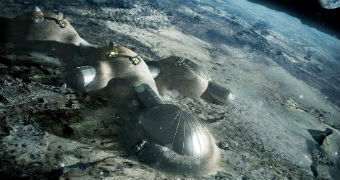 Will people return to the moon? It's inevitable that mankind will return to the Moon, but the arguments for going there have changed dramatically since the Apollo missions, experts say. 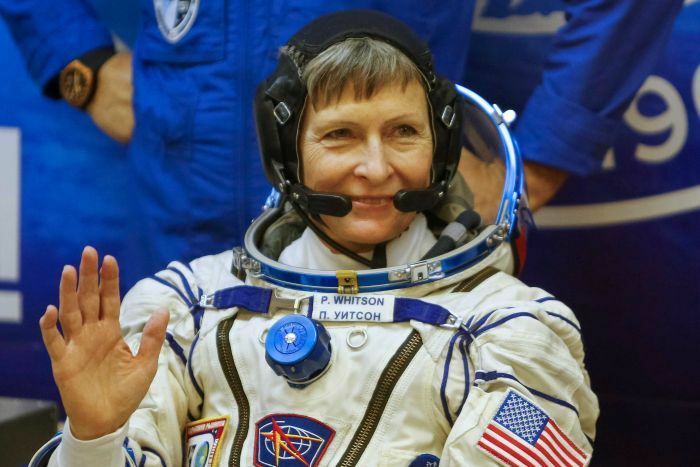 Dr Whitson set multiple other records while in orbit— world's oldest spacewoman, at age 57, and most experienced female spacewalker, with 10 walks. She also became the first woman to command the space station twice, following her launch last November. Returning cosmonaut Fyodor Yurchikhin logged even more time in space — 673 days over five missions — while NASA astronaut Jack Fischer returned after 136 days aloft. Both men flew up in April. It was an emotional farewell for Dr Whitson, Dr Yurchikhin and Mr Fischer. Before retreating into their Soyuz, they embraced the three colleagues they were leaving behind at the 400-kilometre-high complex. The station's newest commander, Randy Bresnik, noted the outpost was losing 1,474 days of spaceflight experience with the departure of Dr Whitson, Dr Yurchikhin and Mr Fischer — four years and two weeks, he pointed out. "We are in your debt for the supreme dedication that you guys have to the human mission of exploration," Mr Bresnik told them on the eve of their departure. He offered up special praise for Dr Whitson — "American space ninja" — and wished them all Godspeed. Dr Whitson, a biochemist, set a breakneck pace on all three of her space station expeditions, continually asking for more — and still more — scientific research to do, and scientists on the ground said it often was hard to keep up with her. She even experimented on food up there, trying to add some pizazz to the standard freeze-dried meals — tortillas transformed into apple pies on her watch. Dr Whitson was supposed to fly back in June after six months in space but when an extra seat opened up on this Soyuz, she jumped at the chance to stay in orbit an extra three months. Only one other American — yearlong spaceman Scott Kelly — has spent longer in space on a single mission. Except for the past week, Dr Whitson said her mission hurried by but that she was hungry for pizza and could not wait to use a regular flush toilet again. She said she was eager to reunite with her husband, Clarence Sams, a biochemist who also works at Johnson Space Center in Houston. Because of the effects of Hurricane Harvey, NASA could not get its plane from Houston to Kazakhstan in time for the crew's landing. Instead, the European Space Agency offered to transport Dr Whitson and Mr Fischer to Cologne, Germany, where they will meet up with the NASA plane for the final leg of their journey. They are expected to arrive back in Houston on Sunday night (local time). Three men remain at the space station — Mr Bresnik, a Russian and an Italian — who will be joined by two Americans and a Russian following lift-off from Kazakhstan on September 12.